Who did you spend time with for the last get together or holiday? If you need advice, who do you ask? These are some of the questions I have started asking parents in the groups I teach. It is interesting to reflect on who we spend our time with throughout the week. 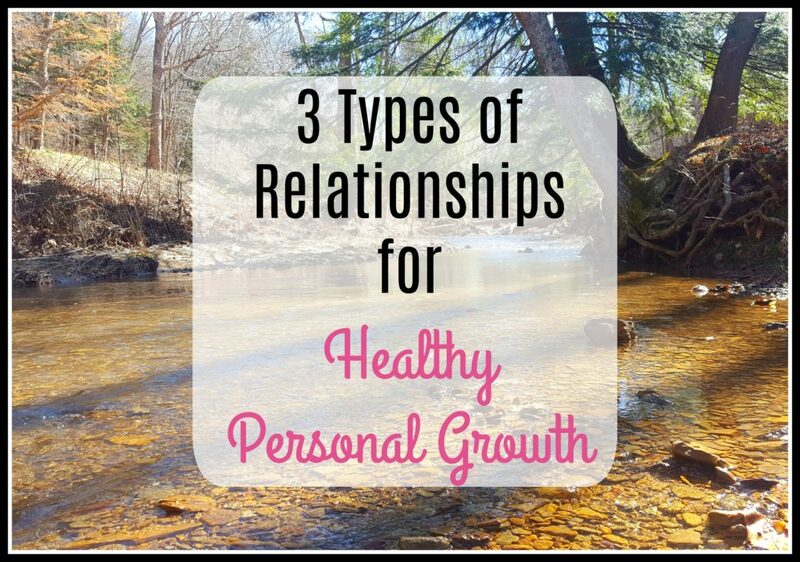 Today, I would like us to examine 3 types of relationships for healthy personal growth. 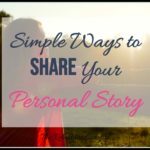 And I am going to share with you the one relationship type you can’t live without! At The Reluctant Cowgirl, we know how important it is to invest in ourselves. If we are going to be wives and moms that are not afraid to tackle the bigger emotional issues in our family then we must be willing to look at ourselves first. Personal growth is vital to our self-care and our ability to thrive during challenging times. So let’s take a moment to step back and see if we are developing these 3 types of relationships for healthy personal growth. A mentor is someone we look up to and are learning from by spending time together. A healthy mentor wants to see us grow and become stronger as a person is some way. We may have mentors at work or in our personal lives. We give a mentor a position of authority in our lives as we look to them for guidance and advice. Mentors are vital for growth. So to me, mentors are the one relationship type that you can’t live without! If we want to grow emotionally, mentally and spiritually then we need great mentors that challenge us to think in new ways or try something different. Typically, it is a person we know, but we can have mentors that we don’t actually know. I love listening to Dave Ramsey on the radio. Dave Ramsey shares foundations for making smart money decisions. His book The Total Money Makeover has helped thousands gain control of their money and challenge their financial legacy! 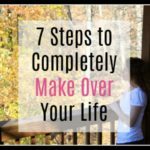 So while I don’t know Dave Ramsey personally I have been greatly influenced by him and his hit book, The Total Money Makeover, in a positive way when it comes to how I spend my money. A mentor is someone we attribute to having knowledge in some way. So when we think of the mentors in our lives there are a few questions we need to ask ourselves. What am I learning from this mentor? How is my life the better for giving this person a position of importance in my life? These are good questions to ask because sometimes we take a positive step by finding those we can look up to in life, but then we realize later that our “mentor” is not bringing any real growth to our lives. Occasionally, we can be drawn in by a false mentor who tells us we “need” them. Later, we discover that they were not truly encouraging growth in us. A false mentor may only want us to do what they wanted and to gain attention from us. So be excited and open to new mentors, but also wise enough to spot when a mentoring relationship feels off. Friendships make life more fun. They are mutually satisfying because you enjoy spending time together. In a peer friendship you are both learning from one another. You feel supported in these relationships, and you love to spend time together. If you are lacking friendships it may or may not be a healthy thing. 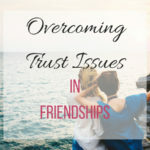 We can have times in our lives where we have disentangled ourselves from some unhealthy friendships. Perhaps we have made some big changes in our lives. In that case, it is not usual to find ourselves without a lot of mutual friendships. 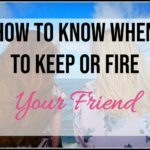 How do you know if a friendship is healthy? Check out my tips here. The first several years of being a single mom, life was rather lonely. None of my friends were moms yet. And while I retained a few friendships from my old life, there were a lot of relationships that it probably wasn’t a bad thing that I released. My focus had to be on myself and my child. 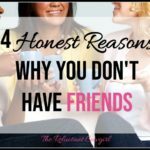 So if you find yourself in a place where you are lacking peer friendships you may be exactly where you need to be. Have hope! You will begin to develop healthy peer friendships if you keep living to your values. Other times, I see parents trying to work, take care of their families and themselves with no one who supports them. If you are keeping people at a distance because you don’t want to risk being in friendships, then it’s time to take part of that wall down! 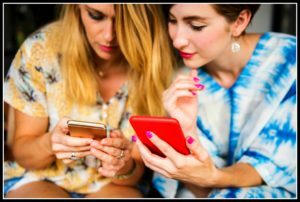 Read here for some ideas on creating a support team! 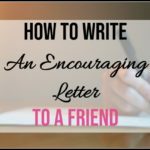 Encouraging and teaching another person is a vital relationship. Teaching another person allows us to become more mature as we seek to aid and bless another person with guidance. We have all been in the position where we were the new one at work or in a school. If it wasn’t for my amazing co workers at my Job & Family Services job, that year would have been unbearable. They were always so willing to help me figure out the ever-changing government codes and policy! So who are you discipling? How are you using what you know to bless or teach others. It may be a co-worker, a new mom in your homeschool group or a neighbor. It can be a casual conversation or a mission you have in life to educate others on a certain topic! So here is where balance comes into play. We need to be careful with these discipling relationships. It can feel good to help another person, but if that is the main type of relationships we have, we may want to reexamine our lives. We just want to make sure that we are still cultivating mentors. And those that we are helping we should be teaching them, not just “rescuing” them. Instead of passing on what we know, we may find ourselves exhausted from constantly fixing situations for others if we don’t also have great mentors and peer friendships. Another trap, we can fall into is teaching others before we have achieved some of the lessons ourselves! While working as a domestic violence advocate, I saw some women who were amazing advocates. In the past, they had been in an abusive relationship so they could relate to the women & men who were seeking help. But they had gone through the hard work of changing and learning from their situations. Unfortunately, I also saw advocates who were barely out of one abusive relationship before they wanted to “help” others. While these advocates were very heartfelt and sympathetic, they really struggled to be effective as leaders because they had not finished walking out their own journey! It is so amazing to me that we can have all these great types of relationships in our lives! I LOVE to learn from others and am thankful for the mentors in my life. 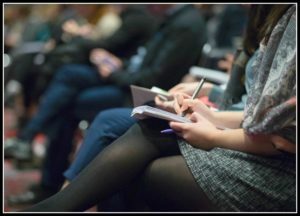 Currently, I am taking Crystal Paine’s 4 Week Live Blog Coaching. Our first Live was this past Monday night, and she already gave out homework! Part of me wants to go, “No!!! I can’t do that.” But, I know I can figure it out it. And this course 4 Week Live Blog Coaching, is probably exactly the push I need to “git er done” as Country Boy likes to say! 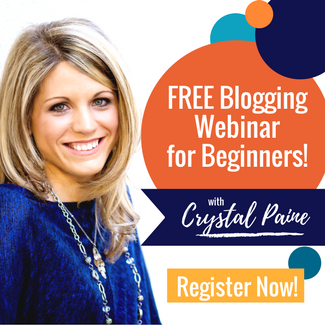 Crystal has several great beginner blogger courses too, like her Blog Start-Up 101 and her FREE webinar 3 Steps to Start that Blog You’ve Been Dreaming of! It is also such a blessing to have friendships. OK, so I know this is not everyone, but my mom and I are really good friends. We can get to a deep conversation in less than 10 seconds flat. But we also enjoy fun times. We have been eagerly awaiting the opening of the Get Your Pretty On Spring Style Challenge. Get Your Pretty On is an online styling program that shows you how to build a stylish in season capsule wardrobe. When you join Get Your Pretty On, you receive shopping links and examples of what to purchase. Shop from your wardrobe, your favorites stories and even your best second hand shops. Then starting March 26th, you receive a styled Outfit of the Day showing how to put the pieces together. I love the program. It is so much fun, knowing what to shop for and to see all the amazing ways you can put such few pieces together again and again. Mornings are so much more simplified and fun! And I am thrilled to be swapping fashion chit chat with my mom:)! JOIN Get Your Pretty On Here! And lastly, of course, I truly appreciate sharing what I have learned. I feel passionate about encouraging others to have emotionally vibrant lives. There have been several pivotal moments in my life. Heartwrenching ones. But I am thankful that I can learn and grow from my mistakes and hard times and turn and teach others so that they can have amazing fulfilling relationships. So where are you? Do you find one type of relationship easier to foster than another? If you could change one thing about the relationships you have had in your life for the past 5 years what would it be? My mom is my best friend. I talk to her almost every day and she’s the first person I want to share my successes with…and my defeats. That must have been great having a program specifically geared to allow for mentoring relationships! I need to work in the area of finding a mentor! My friendships are few, but they are as close as it gets. This was great for me to read because I put up more walls than I should and have always been that way… too guarded and I know it means that I miss opportunities. Thanks for the great tips! I think there is strength is realizing what we are doing well and what we can improve upon. I’m glad you are blessed with a few close friends!